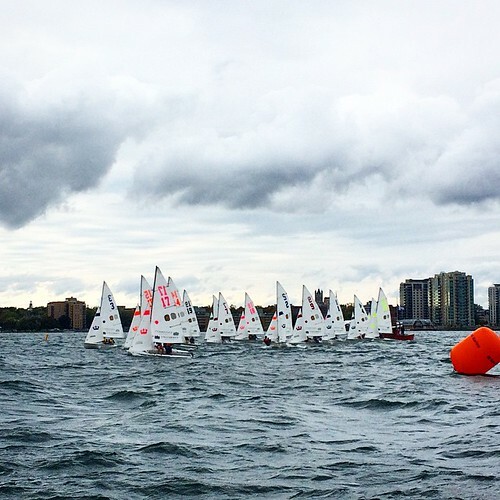 The first ever CAN/AM Cup was a classic Kingston fall weekend, and was the largest Canadian collegiate regatta ever. 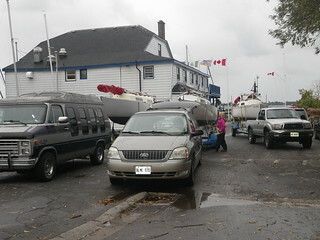 Heavy winds and rain greeted ten Canadian and five American schools. Both divisions sailed in 420s. The winner of the first ever Can/Am Cup is the University of Western Ontario. This was the largest collegiate regatta ever held in Canada, and the first ever collegiate regatta attended by both ICSA and CICSA teams. It was a great success, and Queen’s looks forward to hosting again next year. Thank you to Ross Cameron and all the volunteers for running a successful weekend! You may recall that the Team Racing was cancelled in the spring due to BQYC’s harbour, and ours, having 24” of ice a month before the regatta. Fortunately the 2014 year was not lost and the regatta was sailed in a mix of rain, horizontal rain, hail, calm sunshine, and cold. Windspeed at times topped 25-30 knots depending where you were on the race course due to massive cells screaming in from the SW.
6 KYC Sharks: Cariad, Miss Me, White Star, Dartos, Shadfly and Jonathan Livingston Seagull loaded their boats up on their trailers after the Chase Race on Saturday. Once launched in Belleville, everyone chipped in to help rig other boats to save time. The skippers meeting was held in the club house due to rain and cold where Peter Aker welcomed our KYC Team to BQYC and quickly explained some of the Rules of Team Racing to make sure all teams were on the same page. The Race Committee was already set up when the first Teams arrived at the starting line and racing began shortly thereafter. The RC kept the clock running and after 5 more minutes, the second fleet started. This allowed many races to be sailed making it more fun for the boats and crew rather than sitting, waiting for the first race to finish. At 1600, racing was finished for the day and Team KYC managed to bring the Kingston-Quinte Team Racing Trophy home again for another year. While the results were being calculated, BQYC members put together an pool table top full of great finger foods and beer, enough food and drink that we were all full before we left. Good Racing, Great comradery between the two clubs which has us all looking forward to next year where KYC will be hosting this event. 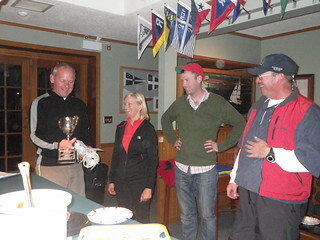 Thanks you BQYC for a great regatta and Congrats Kingston Team Racers for bringing back the trophy.